The swine! He’s done it again! He was a second story man. Oh, I should have thought of that. Thanks. 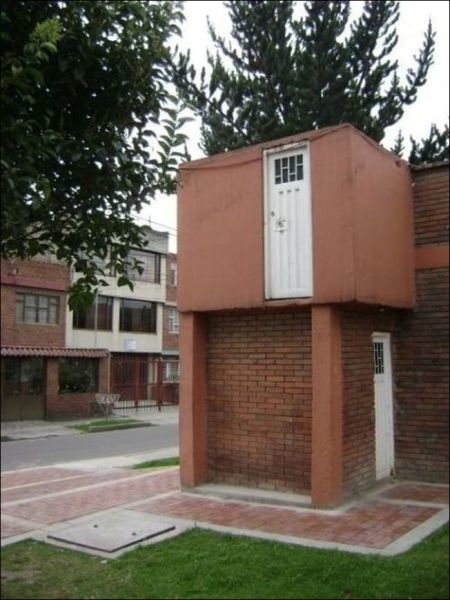 Taking secure entrances to a new height. Yeah, that first steps a duesy. on January 22, 2016 at 8:43 pm | Reply Let's CUT the Crap! Good idea. I’ll get started right away. Yeah, maybe I can broker a deal. Thanks. I love your tag line! Well done! Wonderful. I liked it. It makes a lot of sense. Such a funny picture – how do I find recent posts on your blog? Person A: You’re welcome to my place whenever. Just let yourself in; I live on the second floor. You can’t miss it! Sometime inspiration just strikes you. Other times, it leaves you crying in the dust. Hello… I wanted to visit and thank you for the follow. Your site looks very interesting. I think I’ll really like your stories. I love your blog banner! Thanks for reading my posts and liking! 🙂 Makes my day.